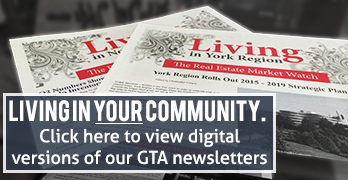 Where is the best place for first-time buyers to consider in the Greater Toronto Area? It’s a good question and one we get asked a lot, so we thought we’d try to answer it by providing our list of the best areas and neighbourhoods for first-time buyers in Toronto. To make our list, we started by looking at the type of homes first-time buyers in the Greater Toronto Area usually seek out. In the GTA most first-time buyers focus their attention on apartments and townhomes, which tend to be more affordable compared to detached and semi-detached single-family homes. To get an idea of how much first-time buyers in the Greater Toronto Area are likely to pay for these kinds of properties, we looked at the benchmark prices over the last six months and then calculated the average. The benchmark price is based on the MLS® Home Price Index and gives the price of a “typical” home, so it is generally viewed as a more accurate gauge of value than average selling price, which can be influenced by a variety of factors (for example, the transaction numbers for different types of properties being sold can skew an average price). Although cost is important to first-time buyers in the Greater Toronto Area, there are other factors that are important. Commonly, these are things like convenience and local amenities, lifestyle, transit options and social network. We’ve taken all these into consideration to find the top ten places for first-time buyers in the Greater Toronto Area. Of all the places in our list, Oshawa is the most attractive in terms of prices. The six-month average benchmark price was $262,167 for apartments, $328,317 for townhomes, $450,483 for attached single-family homes and $531,700 for detached single-family homes. With prices like that, it puts all home types within the reach of a lot of first-time buyers in the Greater Toronto Area. Oshawa doesn’t just stand out for prices, however. A short distance from the City of Toronto, you can reach Union Station in as little as 52 minutes by taking the Lakeshore East GO train service. Alternatively, easy access to the 401 and 407 from much of the city means you have plenty of options by car. Oshawa is more than just a commuter city as well. 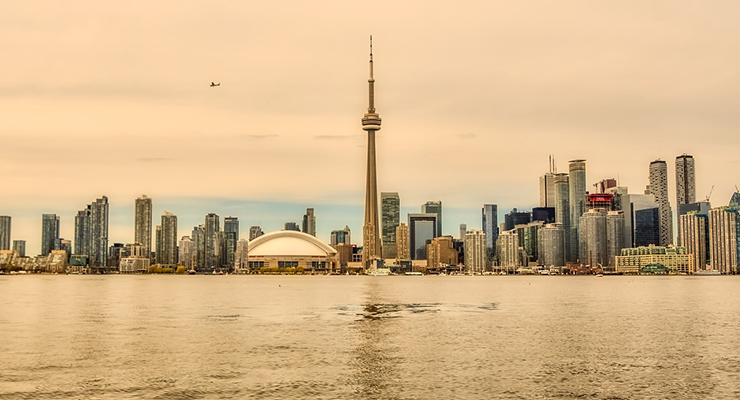 Long known as the home of General Motors Canada, it also boasts growing IT, health and technology industries and ranks as one of the best cities in Canada for job prospects. This area covers communities such as Mimico, Alderwood, and Long Branch and comes in as 10th cheapest for apartment prices in Toronto, with the six-month average benchmark price standing at $390,483. Of particular interest to young professionals, these communities also include the up and coming area known as Humber Bay Shores that has seen huge development in recent years. It is one of the fastest growing communities in the city and offers everything a first-time buyer could need: great amenities, parks, waterfront trails, and good transport links to the downtown core and further afield. A number of new condominiums have been built in recent years and new developments continue to appear, with the recently announced Water’s Edge at the Cove a great example. That development offers one and two bedroom layouts, suggesting that it is aimed more at a younger crowd without children, and prices start from the $300,000s – putting it within the reach of most first-time buyers in Toronto. They may be different municipalities but, due to their close proximity and similarities, we decided to list Burlington and Oakville together. Both the city of Burlington and the town of Oakville regularly rank highly in lists of the best places to live in Canada. In fact, in the MoneySense rankings for 2017, they came in at 9th and 15th respectively. That alone makes both places appealing to live but there are other major features as well – most notably the location. Sitting on the Lakeshore West GO train line, you can get to Union station in 50 minutes from Burlington and just over half an hour from Oakville. Heading the other way, Hamilton is a short distance by either train or car. Combined with the growing business districts of Burlington and Oakville, that puts a huge range of employment opportunities within easy reach. Perhaps most surprising with these two places is that they could be relatively affordable for first-time buyers in the Greater Toronto Area. In Burlington, the benchmark average is $391,533 for an apartment and $542,150 for a townhome. Oakville is considered one of the more expensive areas of the GTA but the benchmark average for an apartment there is $461,900 and the chance to get on the property ladder of such a desirable place will be appealing to many. When you think of commuter locations for Toronto, Mississauga is one of the first places that comes to mind. There’s a good reason for that because its close proximity and great transport networks make it an ideal place to commute from. If you’re close enough to the GO train line, there are five stations within the city, with the journey to Union station taking between 25 and 50 minutes depending on the station you use. Other options include a good bus service and the Hurontario LRT that should begin service in 2022. With a city of its size, Mississauga also offers its own opportunities in terms of employment, with many large companies having major operations or even headquarters in the city. It also offers more distractions than most other town cities in the GTA, with plenty of shops, restaurants and a vast array of entertainment options to enjoy. Average benchmark prices were $396,133 for an apartment and $561,050 for a townhome, giving a good selection for first-time buyers to choose from. Also appealing to first-time buyers is the fantastic transformation going on in areas of the city. A great example of this is M City – a long-term vision to build 10 condo towers close to the famous Square One shopping mall. Developed by Urban Capital Property Group & Rogers Real Estate Development, this project will create an exciting new community and offer residents some of the best Mississauga has to offer. Obviously, one of the main things that first-time buyers in the GTA look for is proximity to Toronto. It’s the biggest city, the place with the most employment opportunities, high-end shopping, avant-garde restaurants, and a plethora of entertainment. So, if you can’t be in Toronto itself, you want to be close – and you can’t get much closer than Richmond Hill. Just north of Toronto, Richmond Hill has plenty to offer itself in addition to being a short bus, train or car ride from its bigger neighbour. Of course, as it is in such a prime location, property prices can be very high. However, the average benchmark price for an apartment is $446,650, which is within the range of many first-time buyers in the Greater Toronto Area. Better still, the high rises in Richmond Hill tend to be concentrated in the southern parts of the town, close to Highway 7 and Yonge St – making them even more convenient for travel. This is the area of North York that is bordered by Bayview Ave in the west, Highway 401 in the south, Victoria Park Ave in the east, and Steeles Avenue in the North. 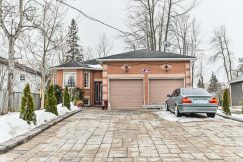 It is quite a large area but the part that should be of particular interest to first-time buyers are the areas of Don Valley Village and Bayview Village that are closest to Sheppard Avenue. That’s because living here puts you on the Sheppard subway line, which connects to the Yonge-University line at Yonge and Sheppard and, thus, gives you easy access to the rest of the city. It is obviously a popular place to buy because a large number of condominiums have been built in recent years. A lot of the development has been close to Don Mills TTC station – which is connected to the Fairview Shopping Mall – and also the area between Bessarion and Leslie TTC stations, right next to Ikea and a variety of other major retailers. That development continues today with a number of exciting projects like Seasons II at Park Place by Concord and The Peak, part of the Emerald City master community. Of course, being in North York means you have a huge variety of amenities nearby and also assures great links to Highway 401 and other major road arteries. What’s more, all this is relatively affordable, with the average benchmark price for an apartment standing at $463,667. You won’t find many apartments here and, to be honest, that may be part of the appeal. The town’s slogan is “Country Close to the City” and that description is pretty accurate as it is surrounded by greenbelt land but also has a Go Train service that can get you to downtown Toronto in just over an hour plus, with the extension of the 407 ETR, allows quick access both east and west of the town. It has long been a popular destination for young first-time-buyers looking to own a home and that has It has long been a popular destination for young first-time-buyers looking to own a home and that has caused prices to rise substantially in recent years. However, the six-month benchmark average price for Townhomes is only $439,200, meaning there are still good options for first-time buyers – particularly those who prefer more bang for their per-square-foot buck! One note of caution, although the train gets you to Toronto pretty swiftly, if you want to go anywhere else, you’ll probably need to drive and this is an expense that needs to be taken into consideration. There is a big transformation taking place in Vaughan, with the area around Highway 7 between Jane St and Highway 400 set to be turned into a new downtown-style area built around a huge park. Part of the inspiration for this is the TTC subway that will start serving the area from December 2017, with service to the downtown core in 45 minutes. Some new condominiums have already completed and others have been launched with great success, like Transit City which sold out two towers in record time. A little further away, there are some already established condo communities, with all the amenities you could need and unrivalled transport links. At present, the average benchmark price for an apartment is $492,167 but the arrival of the TTC is sure to increase demand and prices may rise as a result. That means this location could be a great choice for first-time buyers in the GTA – both as a great place to live and also with an eye on future growth potential. This is quite a large area very close to the downtown core and is bordered by Yonge St in the west, Bloor St E in the north, the DVP in the east, and the waterfront in the south. It includes neighbourhoods like Cabbagetown, Regent Park, and Moss Park among others. There is quite a lot of variation between the neighbourhoods and they aren’t all the same price as well. However, as a guide for the entire area, the average benchmark price for an apartment is $517,483. The main feature of living here is the fact that it puts you in the heart of downtown (walking or biking distance, depending on your exact location) and all the lifestyle and benefits that Toronto has to offer. There are also some exciting changes in the area, with a large number of developments and some incredible transformations taking place. The revitalization of Regent Park is a prime example, with projects like DuEast (prices starting in the $200,000s) offering great starter homes in an upcoming area and with a fantastic deposit structure. Elsewhere, there are exciting developments in the Garden District like Fleur by Menkes (prices from mid $400,000s) and HOME by Great Gulf (prices from high $200,000s), and in the Canary/Distillery area with new launches like Canary Commons, all of which are great prospects for first-time buyers in Toronto. There are also some impressive developments that are part of the amazing transformation of the eastern downtown waterfront, like Lighthouse East and West Towers that are part of the Daniels Waterfront – City of Arts development. If you think about condos in Toronto, this is the area that probably comes to mind. Bordered by Yonge St to the east, Bloor St to the north, Lake Ontario to the south, and the neighbourhoods of Roncesvalles and Parkdale in the west, this is where you go if you want to live in the heart of downtown. Options are almost unlimited for first-time buyers with the right budget: you can get close to the waterfront, enjoy the excitement of the Entertainment District, head to King West and Queen West and live in the second coolest neighbourhood in the world according to a 2015 Vogue article. The options for apartments and entertainment are endless in this part of the city and, although the average benchmark price ($529,567) is relatively high compared to the rest of the GTA, there are many smaller suites available at prices that are more affordable to most first-time buyers in Toronto.